How Much Does It Cost To Build An MVP for a Mobile Application? Having brainstormed an exceptional mobile app idea, you are ready to proceed further, but you got to think once more. Is the idea that you envisioned completely original and distinctive. Will the app be a smash hit among your target user base as soon after it is launched? All such questions are no doubt worrisome indeed. For better prospects opt for the idea of an MVP for your mobile app idea. 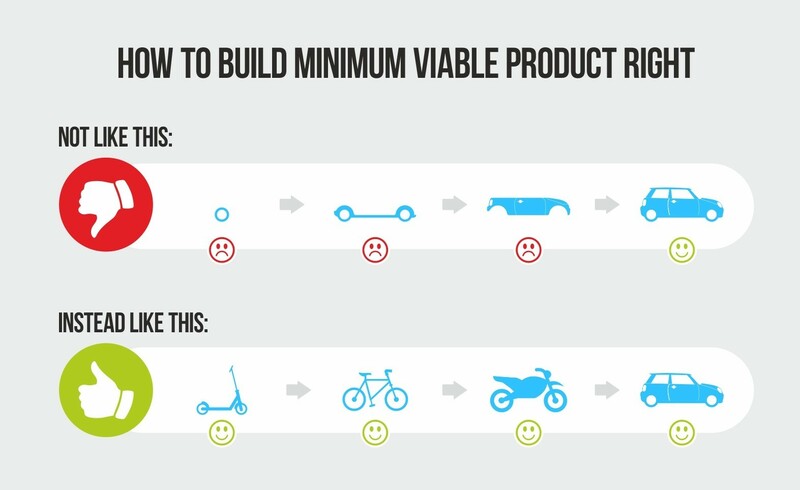 MVP or Minimum Viable Product comprises of the basic features encompassed in a prototype which can be enhanced as based on the feedback generated from the user base so as to augment the user experience and the usability factor as well. Reliable statistics reveal that almost 75% of all startups face futile outcomes because they did not opt for an MVP before the mobile app of theirs was launched. And 30% of the startups don’t succeed due to lack of funds to get things done. (i) Motivating the investors to fund for your vision related to a special mobile app. (ii) Ascertaining that the typical cost incurred is conserved very much. (iii) Reducing all types of risks before the app is released. The cost associated with the MVP development is based on several factors which are quite the same as those which want to develop a totally all-encompassing application which is going to be released mainstream. It is typically seen that the companies behind Mobile App development offer their services on an hourly basis and this is multiplied by all the hours involved in the work. MVP is proportional to how exactly ambitious an mobile app idea is. The more complex the vision is, so will the MVP be as well. The focus for the hour is to contemplate which primary and yet vital features have to be incorporated with the MVP product. The most exciting thing here is classifying all the features into three categories namely a. Must have, b. Would be better to have and c. Not needed. Get insight on how exactly your mobile app will benefit your user base. As stated earlier, have the prototype of your mobile app idea with the fundamental and underlying features before collecting info from the users to enhance it further to make it more advanced. Pay importance to your enterprise needs as well when contemplating the aforementioned fact. Another aspect to be considered is the cost associated with the MVP design and how intricate it is as well. This has to be contemplated in the early phases of the entire work itself. The design must be easy to understand yet that effective to captivate the users’attention. The UX design depends primarily on three factors namely Wireframe, Mockup and the actual interaction that takes place inside the page. For a start to begin the Design related work hold some discussions with all the involved team members so as to get an idea of how to begin and progress ahead to the concepts of Wireframe and Mockup. Speaking of Wireframe, it is the blueprint associated with the actual MVP design. Here developed is a layout featuring the navigation screen and additional fundamental components. Following that is the Mockup which is essentially a prototype that has a major impact on the design related work. The work involved here is to make the clients actually get basic insight on what exactly the app will ultimately provide. Finally comes the Interaction with the page so as to enhance the engagement factor of the users with the mobile application. The subsequent factor that determines the cost associated with the MVP of your app is the Technology Stack. With regards to this go for solutions that can be personalized with simplicity. Prioritize which platform is the ideal fit for your project that is either Native or Hybrid. Both of the above feature advantages and drawbacks. Going for a professional app development brand is good seeing the actual expertise it has along with a very capable skilled team. The latter offers cost-effective services but the quality won’t be as per your expectations when compared with the former which may prove detrimental to the app later on. Also, these freelancers won’t be available 24/7 to get your concerns clarified. Another important thing to consider is the fact as to when exactly will you launch the MVP to obtain the needed info from the user base. A basic thing to be remembered is that releasing an MVP in the initial phases rather than opting for a complex full-fledged MVP is much more economical. Now that you have realized the importance of an MVP, the next question is where exactly to start the related work. The below steps will be useful to solve this dilemma. (i) Conceptualizing a proposition regarding the testing related work. (ii) Deciding which features have to be incorporated. (iv) Monitor the impact the MVP has made and collect the feedback to make the necessary enhancements. Seeing that it is the underlying foundation regarding your mobile app vision and your mobile app, carry out the work regarding the MVP and launch that prototype to know if your vision has enchanted your user base and progress depending on that. Ultimately when thinking of budget plans for the Mobile App development, dedicate some precious time to that of the MVP work too. Pyramidion Solutions is a Mobile App Development Company from Chennai known for its expertise with regards to creating exceptional Android and iOS apps as per your requirements and with the emphasis that your app vision is a sure success in the market that you are targeting. Rest assured it also knows how important is the concept of MVP with regards to developing a mobile app that has a long-lasting success and which reflects the fact that you as an enterprise wants to serve your user base that happily as per their demands.